​The ​Boston Celtics are in the midst of a rough patch over the past 48 hours. The team blew a 18-point lead to the ​Lakers on Friday, and in similar fashion lost to the ​Clippers the following night despite having a 28-point lead at one point during the contest. 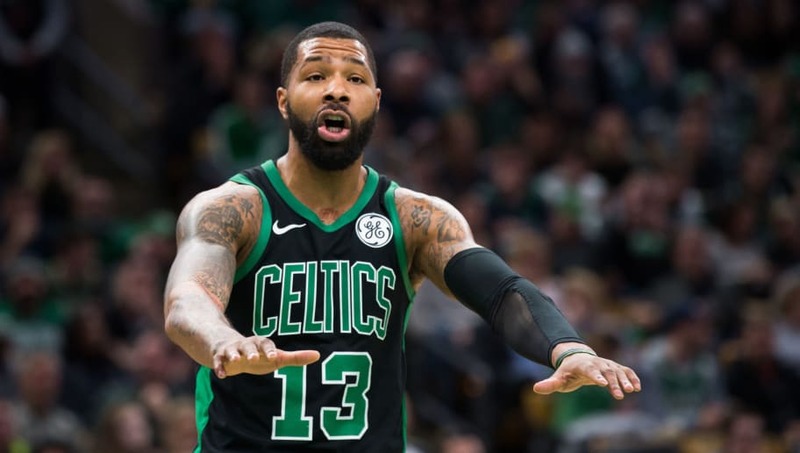 Boston is frustrated after their latest loss, and veteran forward Marcus Morris didn't hold back when addressing the media about it. Morris called out his teammates, stating that it felt like they were a group of individuals rather than a team. He specifically criticized his teammates' energy levels. "I watch all these other teams around the league and guys are up on the bench, they're enjoying everything, and they're playing together and they're playing to win. When I look at us, I just see a bunch of individuals," Morris said. Morris also stated how the Celtics aren't having fun on the court and are lacking in attitude and toughness. The Celtics are a young team with a lot of potential but what they lack is leadership above everything else. Kyrie Irving was recently called out for his ​lack of leadership and the other veteran players have not stepped up in the way that fans would hope. If the Celtics truly want to contend for the NBA Finals this season, they need to address the issues in their locker room and start playing with a new type of competitive energy. Their inability to close out games lately could haunt them going forward unless they make adjustments.